In Part 1 of our discussion around deep vein thrombosis, DVT, I outlined the clotting system and listed some factors that cause these serious clots. In this article, I’ll go over side effects of DVT and available treatment options. An embolus is when a portion of the clot breaks off from the vein wall and travels down the central veins toward the heart. These pieces of clot typically go to the lung and are called pulmonary emboli. If large enough, they can kill the patient. All of these problems are the result of the resulting venous hypertension caused by the obstruction. In severe cases limb amputation has been necessary. Deep vein thrombosis is serious, but it’s also highly manageable. If treated properly, DVT can be mitigated before it causes a great deal of damage. Ultrasound, risk-factor classifications and other diagnostic techniques can all be used to determine whether a patient actually has DVT or just suffers from a similar disease. The goal of treatment is to get rid of the clot and and restore normal blood flow as quickly as possible. This has a chance of possibly preserving the vein valve function which typically is lost with most DVTs. This treatment has been around for over50 years. Once the diagnosis is made, the patient is immediately anti-coagulated with a quick acting agent. While this is being administered, a long acting pill, Coumadin [warfarin], is given daily. The quick acting anti-coagulant is discontinued once it is determined by blood test that the pills have fully anti-coagulated the patient. Periodic blood tests are performed to make sure that the patient’s blood is thinned to the appropriate therapeutic range. Over the years new medicines have appeared on the scene, but this basic treatment plan has not changed. In the last few years a new plan of treatment has evolved, made possible by new drugs, new techniques and new devices that can be used to more quickly and more effectively used to achieve the desired goal. This treatment is called pharmacomechanical treatment for DVT. 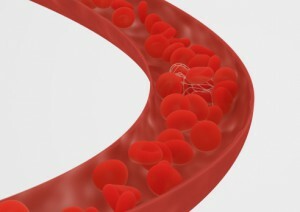 It involves utilization of the endovascular catheter techniques, endovascular imaging using IV contrast and/or intravascular ultrasound [IVUS], instillation of clot busting drugs [thrombolytics] as opposed to anti-coagulants, and the endovascular insertion of mechanical devices which can physically break up and remove the clot. As more and more data is accumulated it is beginning to appear that in certain conditions this therapy is superior to the classic treatment. This new treatment has its own set of complications. Clinical judgment and operator experience become important factors. There is a subset of patients who develop chronic problems after DVT. As mentioned, these problems are due to the presence of chronic venous high pressure; these problems are lumped together to form a condition known as PTS or “Post Thrombotic Syndrome”. Treatment is centered on everyday use of appropriate groin high, properly fit, medical support hose. Other parts of the treatment plan include chronic anti-coagulation, optimum control of superficial venous system hypertension, venous dilation and stenting, and administration of horse chestnut and other meds to help venous tone. Deep vein thrombosis is not to be taken lightly and should be treated by an experienced and Board Certified in Venous and Lymphatic medicine. Contact us at Five Star Vein Institute for an assessment of your vein health.